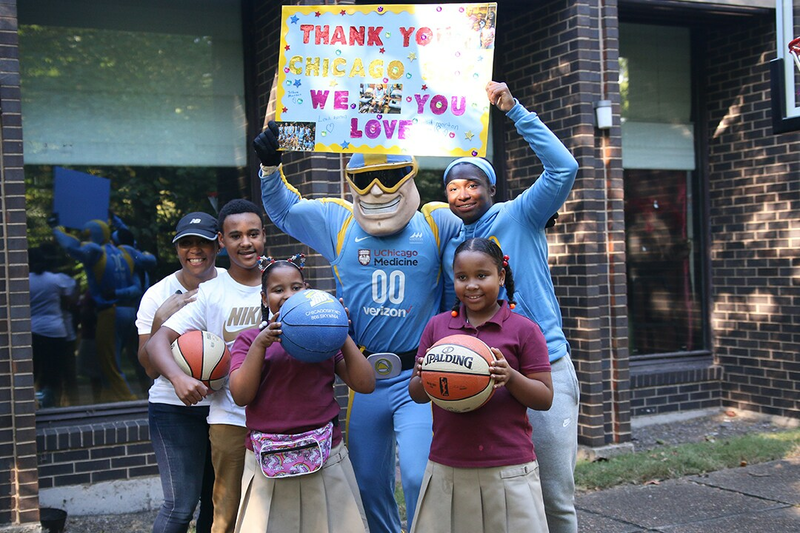 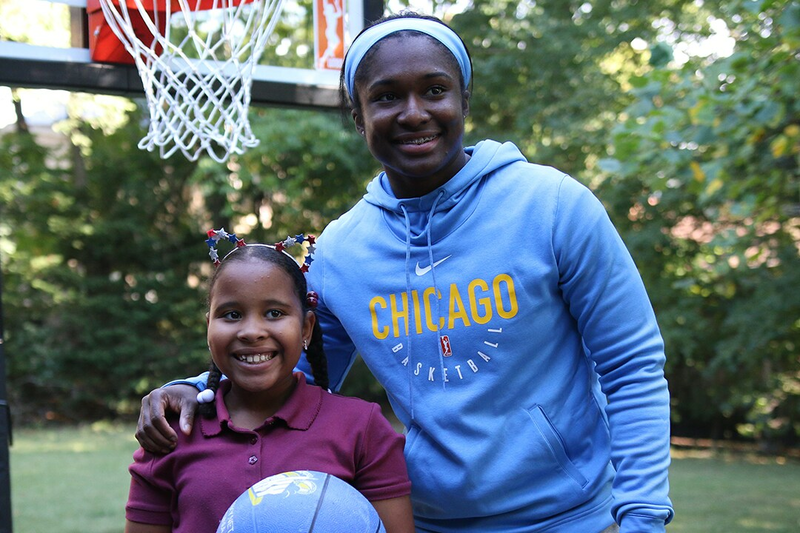 A dream came true for nine-year-old Lailah Morton Thursday when she was surprised with a custom basketball hoop in the backyard of her family’s Kenwood neighborhood home. 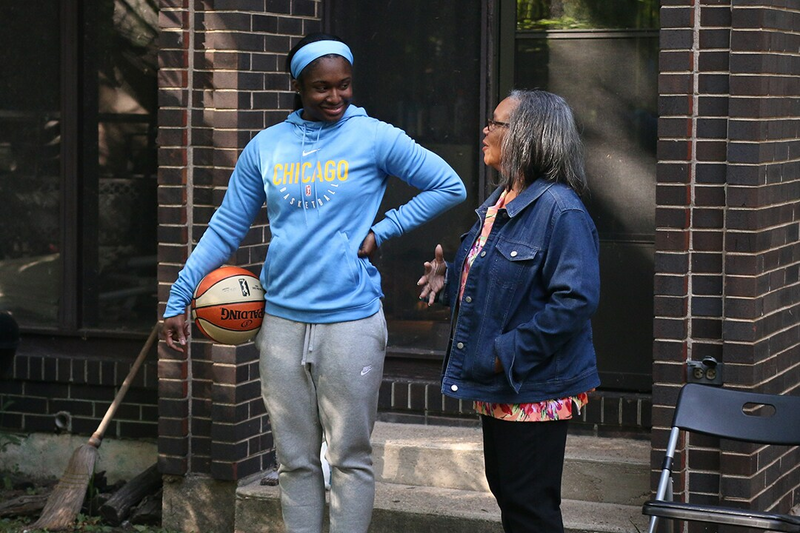 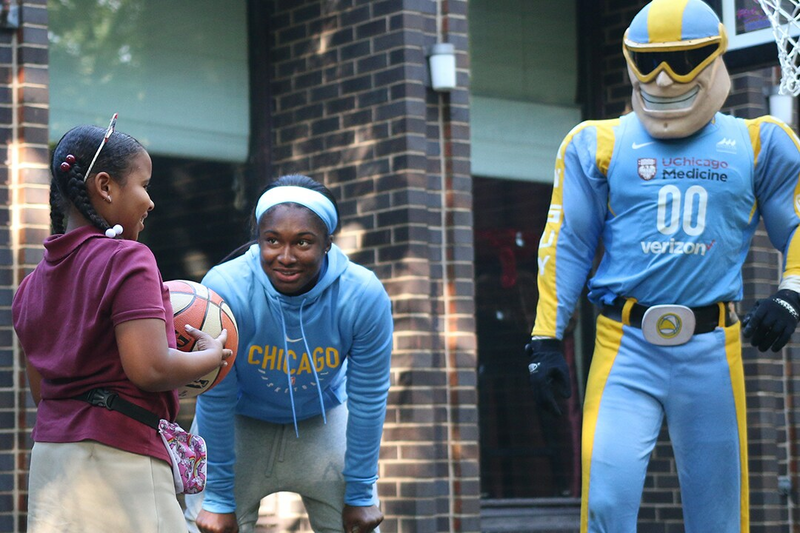 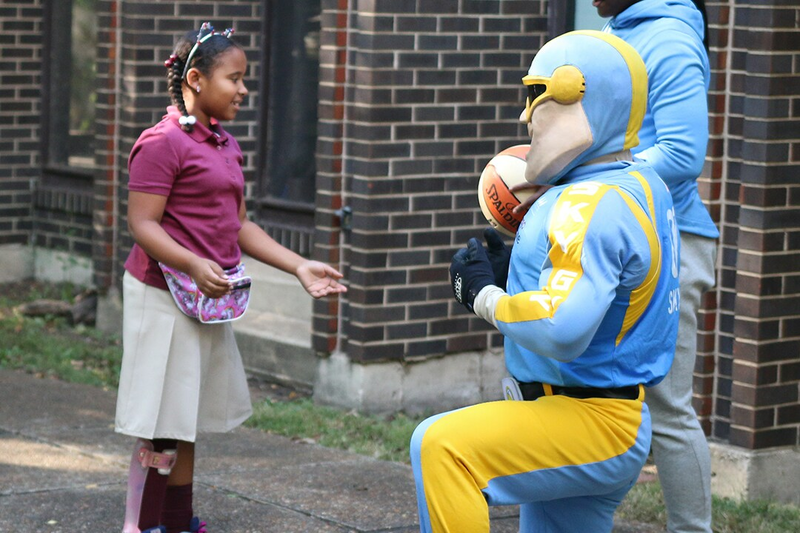 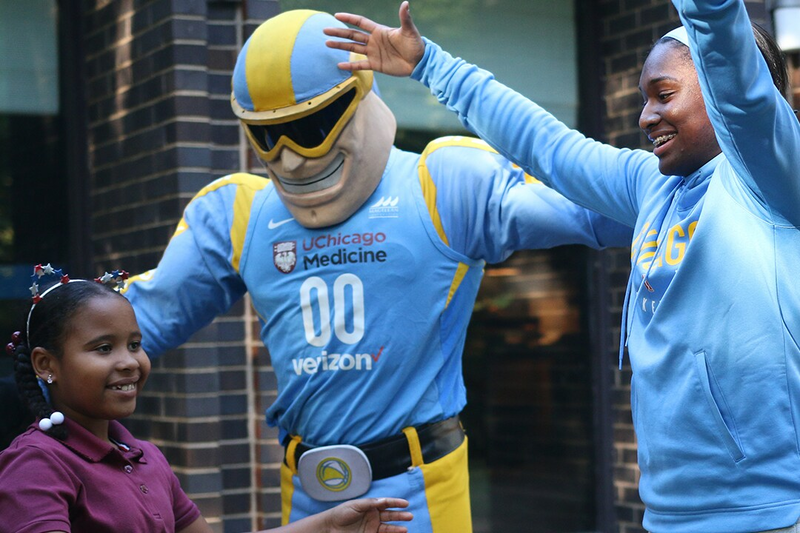 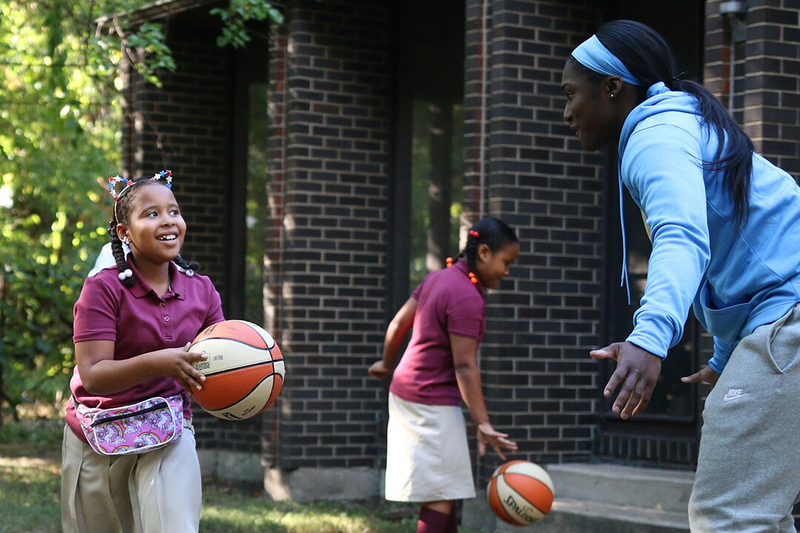 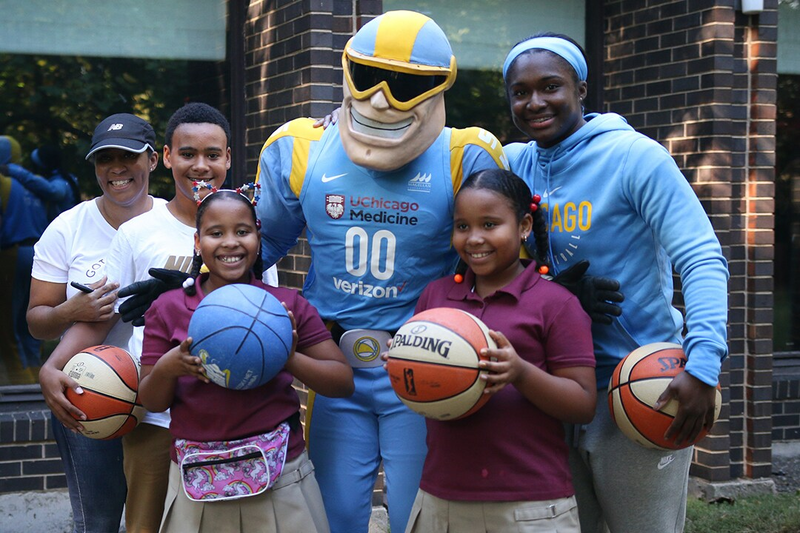 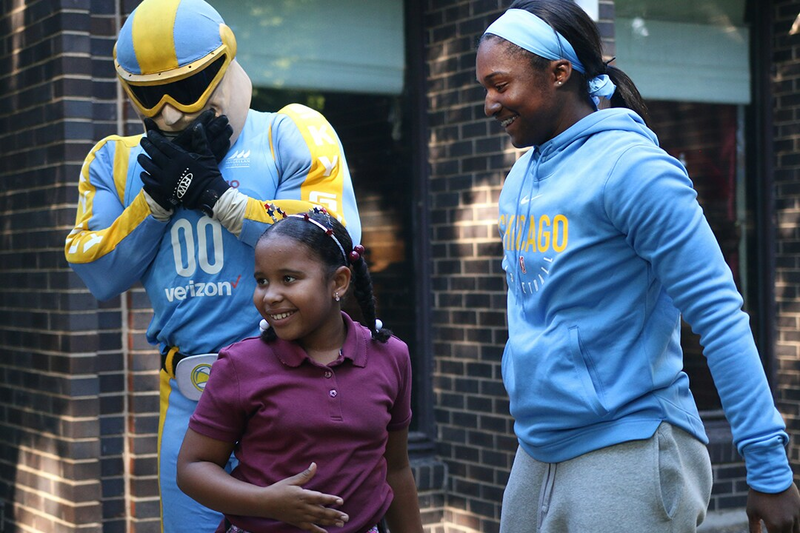 Lailah, who has a twin sister and a 12-year-old brother, arrived home from school with her siblings Thursday afternoon to find Chicago Sky guard Linnae Harper standing alongside her grandmother, family and friends on a brand-new court built just for her. 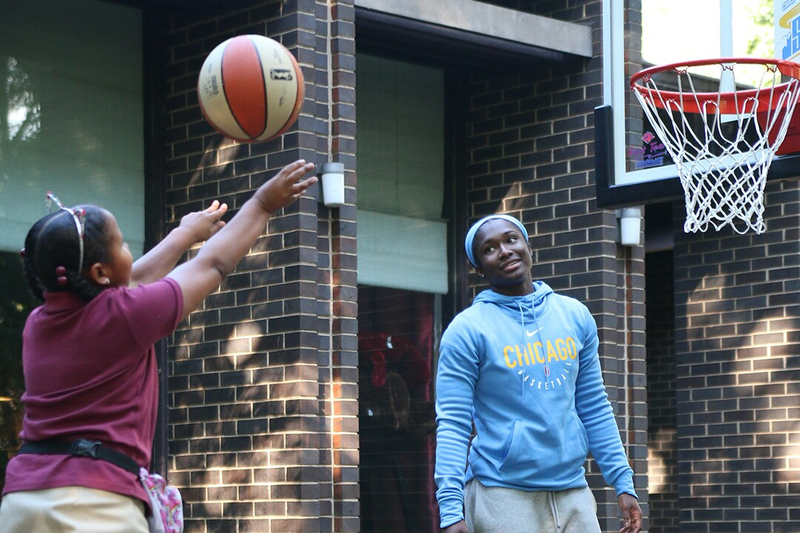 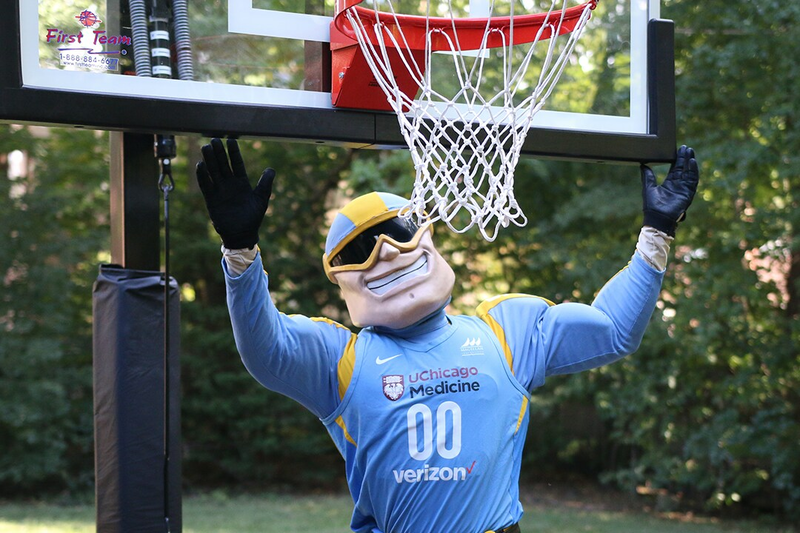 Home Court Advantage donated the professional-grade basketball hoop, which was installed over the course of two days without her knowing. 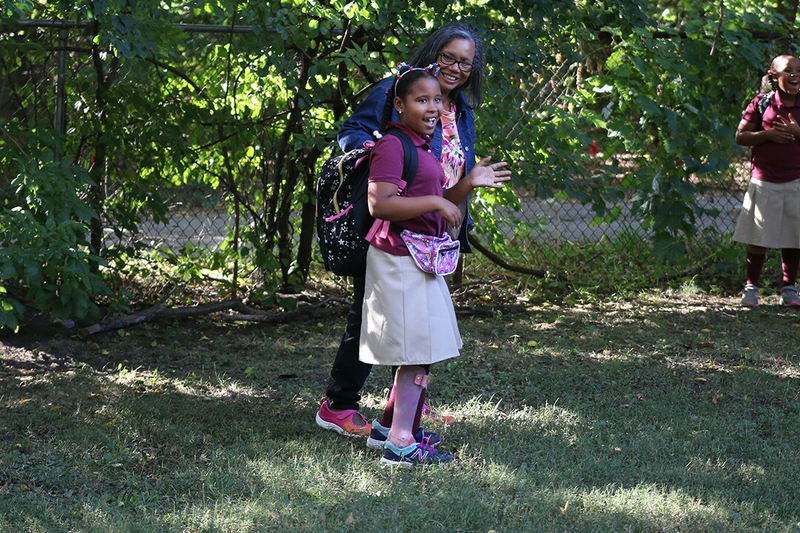 Lailah currently receives treatment at La Rabida Children’s Hospital for cerebral palsy, a neurological disorder that affects the movement, coordination, and development of muscles and motor skills. 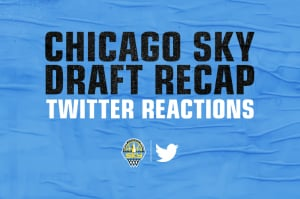 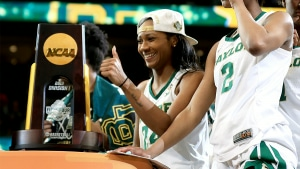 In August, the Sky granted Lailah’s wish of becoming a professional basketball player when the WNBA team signed her to one-day contract to join the team. 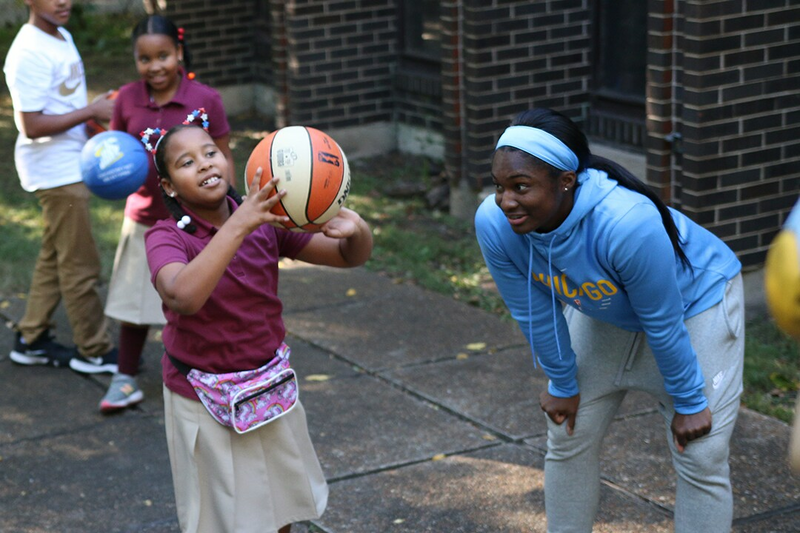 “Lailah loves basketball, and she does not allow her condition to stop her from playing the game,” La Rabida’s spokesperson said upon selecting her for the opportunity. 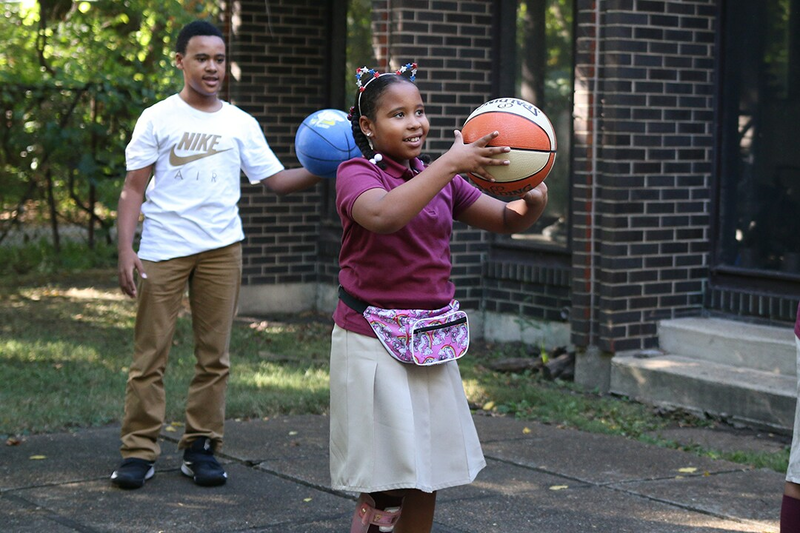 She loves the sport so much that her team of physical therapists at La Rabida work basketball into her therapy sessions. 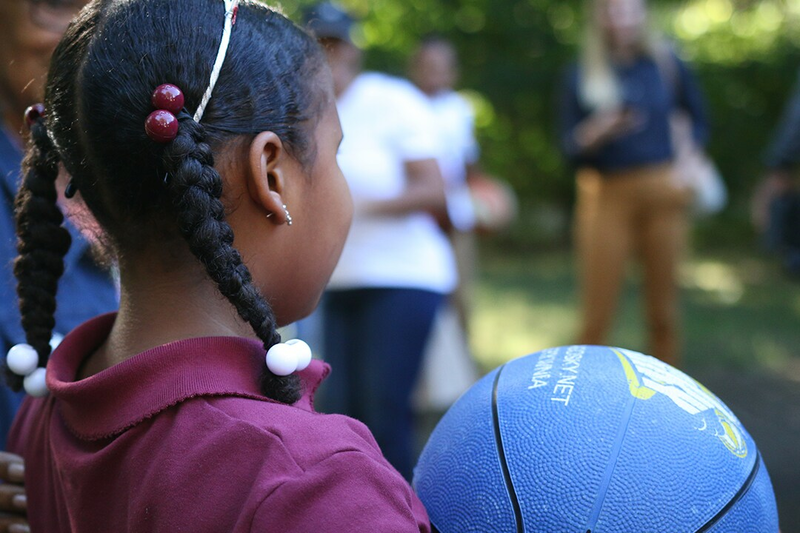 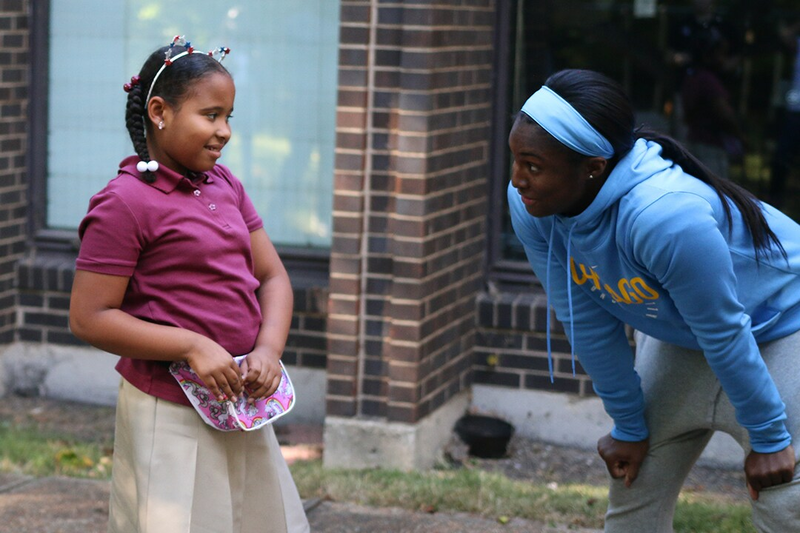 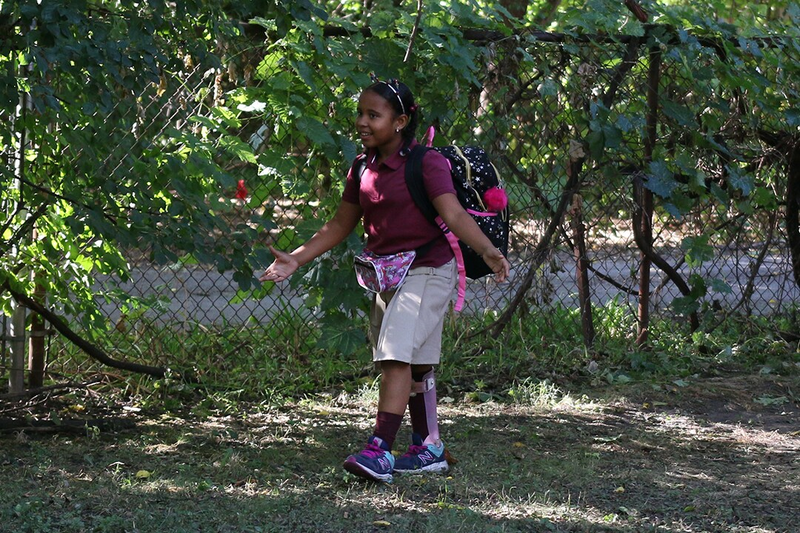 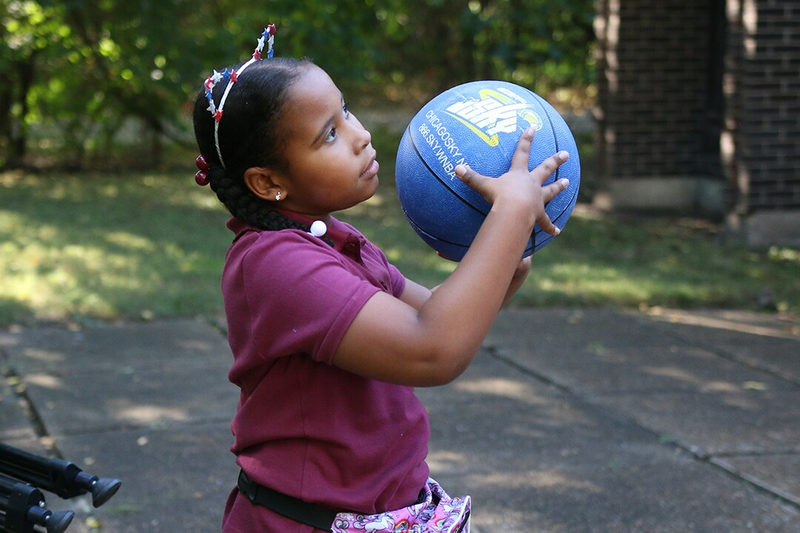 Now, Lailah will have a professional-grade basketball hoop to practice on in her own backyard.